Grocery delivery player Grofers has managed to raise $60 million from the SoftBank Group, according to estimates from business intelligence platform Paper.vc. The company, which has been able to hold its own against players, including BigBasket, Amazon Now, would be using the money for major expansion. According to sources, the fund infusion is a part of the bigger round of close to $120 million. Last year in March, it had raised $62 million in a round, led by SoftBank Group. 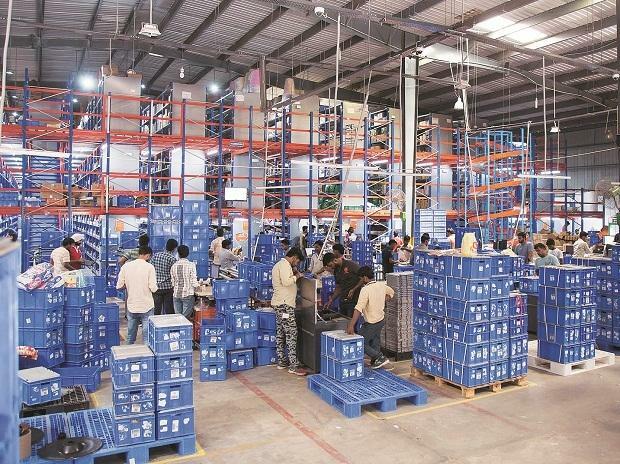 The company, last year, utilised the funds for doubling its warehousing space as well as fresh hiring and increasing the number of private labels. The company also scrapped some of its offline plans. “We are looking more towards the supply chain and private label side. We are not planning to enter more cities. We will build more capacity to serve more customers in the cities we are in. We do not have any offline plans, we tried it in 2016 and were not really convinced. We are not looking at offline at all,” said Albinder Dhi­ndsa, co-founder and chief executive officer of Grofers had said last year. During the two-year-long crisis that struck the e-grocery space in 2015, caused shutters down on firms, including Local Banya, PepperTap, AskMe Bazaar. Grofers, which has in 2017 got a nod from the government for 100 per cent foreign direct investment (FDI) on food-only retail, will take the plan forward only on its online platform. The company has been scouting for real estate to set up more warehouses. In November 2015, it had raised $120 million from SoftBank and Russian entrepreneur Yuri Milner, with participation from existing investors Tiger Global and Sequoia Capital. It raised $35 million more from Tiger Global Management and Sequoia Capital India in another round the same year. The Albinder Dhindsa-led company had also raised an undisclosed amount in seed funding from Sequoia and Zomato founder Deepinder Goyal in December 2014.